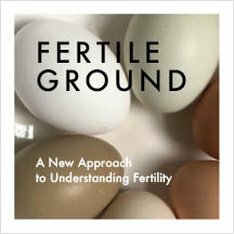 FERTILE GROUND IS A WISEBODIES COURSE LED BY JAN BURGEVIN AND SERENA CAFFREY. IT WILL MEET THE 2ND WEDNESDAY OF EACH MONTH, OCTOBER 2017 - MAY 2018, FROM 7:00 - 9:00PM AT 442 WARREN STREET, HUDSON, NY. Fertile Ground is an eight-month course and collaborative exploration of fertility as a tool and a strategy for understanding ourselves, our bodies, and each other within sacred community. We believe that we are the authorities of our own bodies, and that we have the right to learn about them. Through readings, meditation, conversation, embodied movement and exercises, we will come to more intimately know and listen to the pelvic bowl and its organs, energies, and life forces. We will gain hands-on knowledge about our sexual and reproductive systems. We will learn resources for tracking fertility cycles as a way to understanding our reproductive health and as stepping stones for achieving or avoiding pregnancy. We do this with the understanding that being empowered in our fertility – and coming together in community to learn about it – is so much more than following a string of temperatures. We seek to experience ourselves as the magical, elemental beings who feel the fire of our collective fertility, the oceanic power of our cycles, the freedom of open-ended inquiry, and the sacred ground of our bodies. We invite students to return to the body - with gentleness, patience, radical acceptance and trust - and to reclaim our bodies as the home of wonder and joy. Let us take the exquisite risk of being present. Please join us so that we may support, challenge, and witness each other as we grow together in this courageous journey. This class is open to all, including those who are cycling, have stopped cycling, and would like to return to cycling. This course is open to 14 students. Cost: $40.00 a class, $320 in full, with sliding scale available. To register: Contact WiseBodies Director Isa Coffey RN at wisebodies@wisebodies.org or 518-821-9676. Registration closes Sunday October 1st. First Class: Wednesday, October 11th. Jan Burgevin is passionate about empowered sexuality and the restoration of an intuitively guided sense of value and meaning for every human being. She is an LMT and RN whose private practice focuses on traditional and holistic modalities to encourage wellness. She supports the healing of humanity through self love, empowered sexual and reproductive health, and embodied self knowing. Serena Caffrey is an artist, activist, and educator whose work centers around the power and fragility of being embodied and the politics of care. Prescribed the pill at age twelve for painful and irregular cycles, she has spent the last three years on a slow journey away from synthetic hormones and toward alternative methods of pain management and systemic healing. Her favorite places are the Tivoli Bays, a clean kitchen, an empty studio, and her southern facing porch. If you’re interested and would like an application or have questions, email Isa at wisebodies@wisebodies.org.